Blending Chinese and Western traditions, Chen Yi creates a singing, sparkling music of bold colors and beautiful lines. 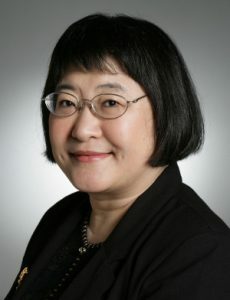 Trained at top conservatories in the U.S. and China, and currently Distinguished Professor at UMKC, Dr. Chen has been honored by the American Academy of Arts and Letters. Her music has been sought out and commissioned by artists like Yehudi Menuhin, Yo-Yo Ma, Evelyn Glennie, the Cleveland Orchestra and the BBC Symphony.